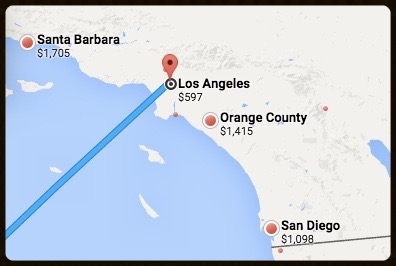 Once upon a time, I needed to buy a one-way ticket from Auckland to Los Angeles. I looked high and low throughout the airfare kingdom, searching Delta, United, JetBlue, Expedia, Travelocity and on and on. I tried my preferred dates, alternate dates and worst-case-scenario dates. After searching near and far, I was finally ready to settle for a $600 ticket. Then, like a long-awaited fairy godmother, Stephanie Rosenbloom appeared with her magic wand — her travel column for The New York Times — and changed my vagabond life. Her go-to farecasting tool? Google Flights. Finally, you can also filter your search by number of stops, airlines, flight duration, connecting airports and more. It's basically a fairytale come true. The happy ending to my search for the NZ to LA ticket? When I wished upon a star (plugged my search into Google Flights) the lowest price glowed in a soothing green. $275.